Acmetek recognizes that each partner has different business requirements and we designed our partner program with that in mind – You choose how to manage your relationship with us. 256 bit encryption, domain control validation, $10,000 warranty, 99% browser recognition, most certificates issued in minutes. A fast Reliable security solution! RapidSSL fulfils all the basic needs of the encryption needed to protect the online transactions through your domain, all with value priced certificates. The certificate is issued superfast in just minutes, made possible through automated domain control validation process. These SSL certificates are the most economical and so affordable for any domain.RapidSSL is a simple SSL certificate designed and developed to provide security for your domain easily, just in three steps, enroll, confirm and install. These SSL certificates provide encryption for your website, to stay safe in the cyber world. 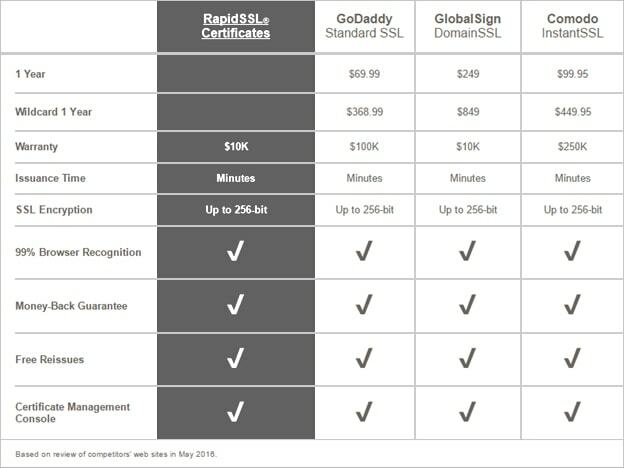 RapidSSL offers a low price SSL solution and includes a 30-day money back guarantee plus multi year and renewal discounts. A low-cost SSL certificate from a leading certificate authority. Automated Domain control Validation (DV) of your business. Automated validation delivers most SSL Certificate to you in minutes without faxing documents. Optional validity period from 1 to 3 years. One SSL certificate that can secure multiple subdomains of your website. The SSL certificate is issued to *.yourwebsite.com, so that each and every sub-domain, like, x.yourwebsite.com, y.yourwebsite.com, z.yourwebsite.com, etc. RapidSSL.com is a subsidiary of GeoTrust, a highly trusted, internationally recognized certificate authority. If you need to reissue your certificate for any technical reason you can with no extra charge. RapidSSL specializes in SSL encryption. We won’t try to sell you more domain names or email or web hosting or other SSL options. We assume that you came to RapidSSL because you need Fast SSL/TLS encryption and that’s what we offer. Get a RapidSSL Certificate quote from Acmetek quickly and easily. 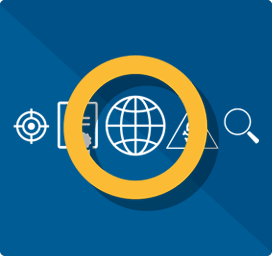 No matter where you are in the world, RapidSSL offers Single Domain and Wildcard SSL Certificates with domain validation. Save time with our fast certificate issuance and save money with our discounted prices. And rest assured, our customer service is here for you 24/7. RapidSSL is a economy Domain Validated SSL Certificate to protect senstive information on the web with 40 to 256 Bit Encryption and Issued in minutes. RapidSSL Wildcard is a economy Domain Validated SSL Certificate to protect senstive information on the web with 40 to 256 Bit Encryption for Unlimted Sub-Domains on a Single Server. 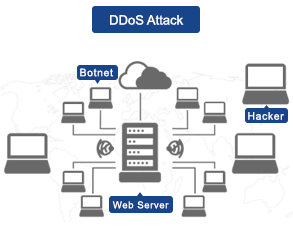 In this white paper, learn about Symantec DDoS key benefits and protection information.